Use your tray as a secure storage space. A 4mm layer of checker plate aluminium with a black powder coat finish creates a strong, durable surface. 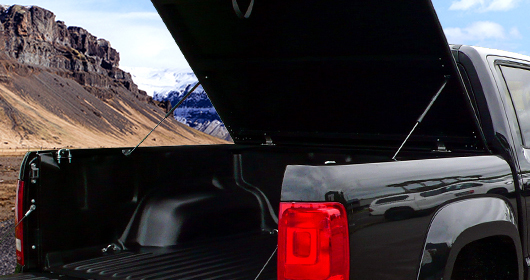 While the largest opening angle on the market, ensures your gear remains accessible from any angle. Built from a 4mm layer of checker plate aluminium with a black powder coat, creating a strong, durable surface. With a 47° opening angle. 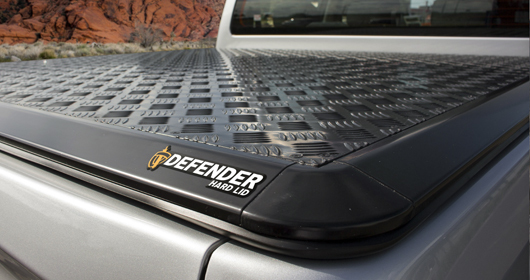 Defender allows for all angle access to the tray, with the biggest opening angle on the market. 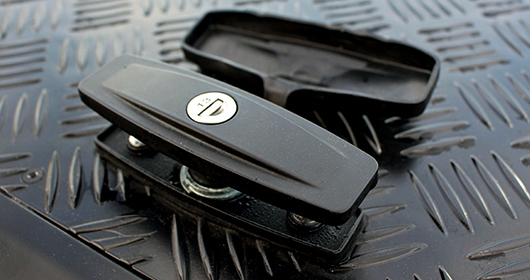 A single recessed handle locks both sides of the tray for improved security and efficient access to the tray. 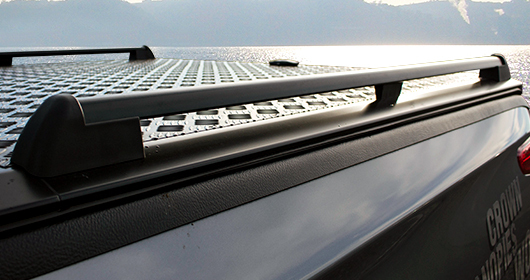 Complementing the Defender are the optional cargo rails, subtle, powder coated black and rated to 50kgs. Not convinced? Give us a call on 0800 111 000.